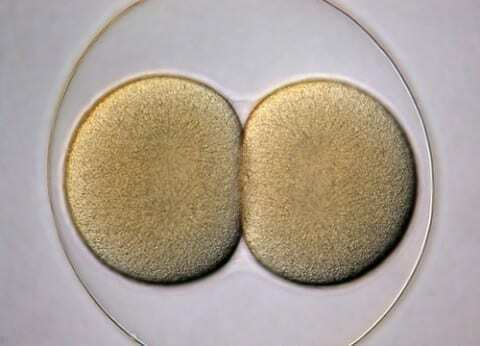 Scientists discovered how to derive embryonic stem cells from mice in 1981. In 1998, they discovered how to do the same in humans. Ever since, embryonic stem cell research has been a highly controversial issue. The United States government has banned the creation of embryos for the purpose of research, but scientists get the “leftovers” from fertility clinics. In 2006, scientists found the certain conditions that could allow some specialized adult cells to be genetically reprogrammed to assume stem-cell-like state (called induced pluripotent stem cells, or iPSCs). Though these are much less controversial, scientists still need to use embryonic stem cells for research. You may ask, what even are stem cells? Well, stem cells are unspecialized cells in our body that are capable of becoming tissue- or organ-specific cells under the right physiological or experimental conditions. Stem cells in our stomach and bone marrow naturally replace worn out tissue in our bodies. But through a little bit of genetic manipulation, stem cells can become virtually any other type of cell in our body. That means that stem cells could treat many diseases, such as diabetes or heart disease. So, stem cells are obviously quite important and hold a lot of potential for the medical field. Stem Cells by Erin is licensed under a Creative Commons Attribution-ShareAlike 4.0 International License. I loved learning more about stem cells because people are highly torn about stem cells but I have never had enough information to form an opinion. This makes me want to look more into stem cell research because I can see how important stem cells could be and how helpful they can be for people. This article really sparked my interest.